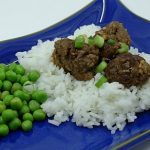 Freezer meals don’t get much simpler to assemble than these easy asian meatballs, especially if you are using pre-made meatballs. It can be cooked in the oven or in the crock pot. You can make this recipe using meatballs you make yourself or using meatballs bought from the store. It’s great to have meatballs in the freezer for all kinds of reasons, so you may want to go ahead and make a huge batch and use some for this recipe and some for other recipes or to add to spaghetti or soups. *If you prefer, you can substitute fresh ginger for the ground ginger. 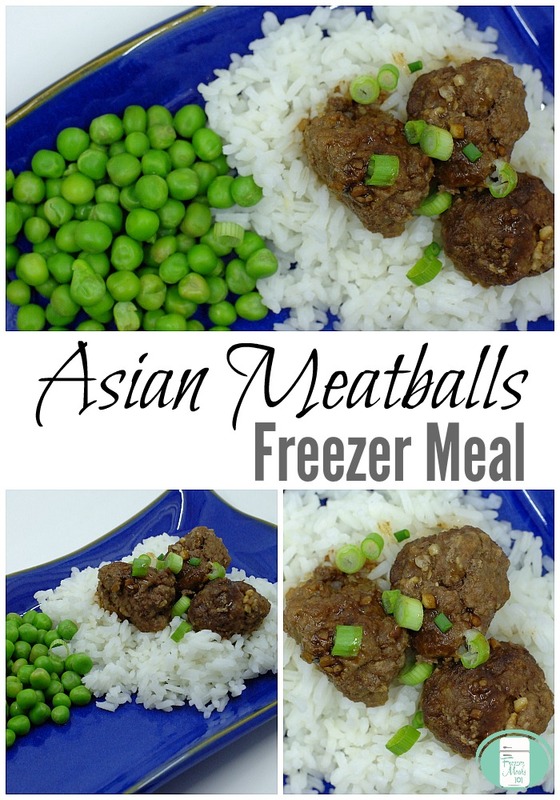 To assemble this easy freezer meal, add the pre-cooked meatballs to a large resealable bag. Add the minced garlic, lime juice, soy sauce, sesame oil, ginger, and green onions to the bag. Remove excess air, seal and freeze. On the day of cooking, take the bag out of the freezer. Thaw. Bake, covered at 375° for 20 minutes or cook on low in the slow cooker for 2-4 hours. 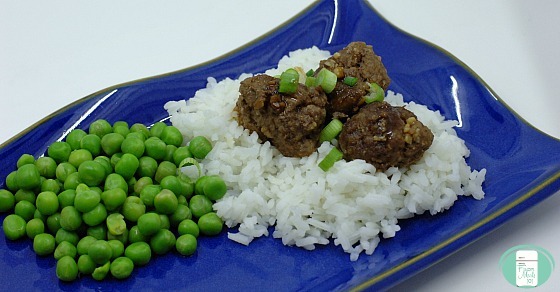 You can serve these meatballs with rice and vegetables or a salad. The sauce tastes really good as a gravy over the rice. This recipe is perfect for busy weekdays when you have to be out the door quickly to get to soccer or piano or one of the dozens of other scheduled events that families have in the evenings. Add the pre-cooked meatballs to a large resealable bag. Add the minced garlic, lime juice, soy sauce, sesame oil, ginger, and green onions to the bag. Remove excess air, seal and freeze. On the day of cooking, take the bag out of the freezer. Bake, covered at 375° for 20 minutes or cook on low in the slow cooker for 2-4 hours. 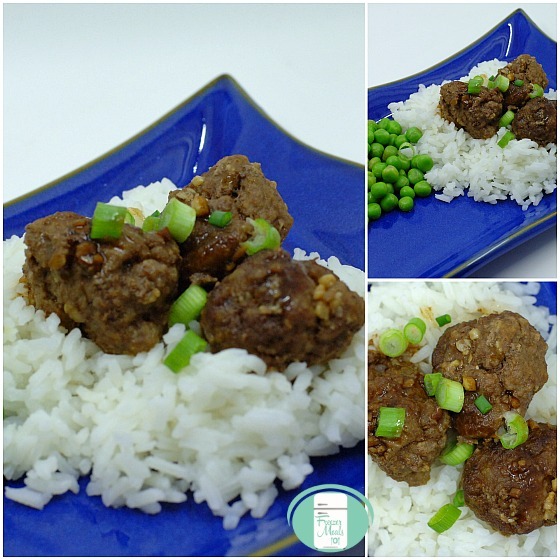 This make ahead easy asian meatballs recipe is included in the Dinner in 20 Freezer Meal plan along with other recipes, shopping lists, prep lists, and printable labels.